What we grow: Meet our vegetables! Brussels Sprouts are the farm’s main vegetable crop – we raise over 210 hectares’ worth of sprouts each year. We plant between April and May, and harvest from late August all the way through until early April. Specialist machines harvest the sprout stalk, which we then hand-feed into another machine, which separates the sprouts from the stalks. The sprouts fall into a storage tank before being emptied into boxes ready for transport to our processing and packing operation where we then grade, chill, and pack the vegetables. We sell this popular brassica across Scotland and the UK in major supermarkets, and towards the end of the season we also export them to Holland. In Scotland, we’re lucky to be able to harvest sprouts for longer than the rest of the UK, due to a cool climate and later spring. Many prefer the distinguished Savoy for its characteristic crinkly leaves, and robust flavor. In fact, the Savoy is our best-selling cabbage. The farm grows over 90 hectares of this variety each year, planting between mid-April and June. Harvesting begins in early- to mid- June, continuing through to February. Savoys are harvested by hand, usually packing them in the field on a specially designed harvesting rig and trailer for optimal freshness. Prized for its crunchiness and gentle flavor, the farm grows around 100 hectares of white cabbage each year. Planting between April and June, we then harvest from June through to March. We hand-pick our white cabbage into boxes for ready to be delivered to our processing an packing site for trimming, packing and chilling in our packhouse. We harvest early season cabbage to order, but the firm, tightly packed leaves of the later varieties are perfectly suited to longer-term storage. This feature of the white cabbage allows us to supply our customers with this variety throughout the year. While we grow a more modest 40 hectares of red cabbage, this attractive variety has recently become rather popular. We grow and handle this variety in a similar way to white cabbage – red cabbage also stores well, letting us provide it year- round. The farm grows around 320 hectares of potatoes each year, mainly for the packing market. We also grow a small area of crisping varieties. We plant in April, and harvest between mid August and early November. We use a self-propelled harvester to lift the potatoes, which we then transfer to Tong inspection and sizing grader so we can quality and size grade our potatoes to customer requirements. By grading on site we also remove any excess soil, stones and potatoes that don’t make the grade before we deliver it to our customers. 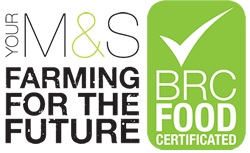 This means that we only haul useable produce, saving valuable lorry space. 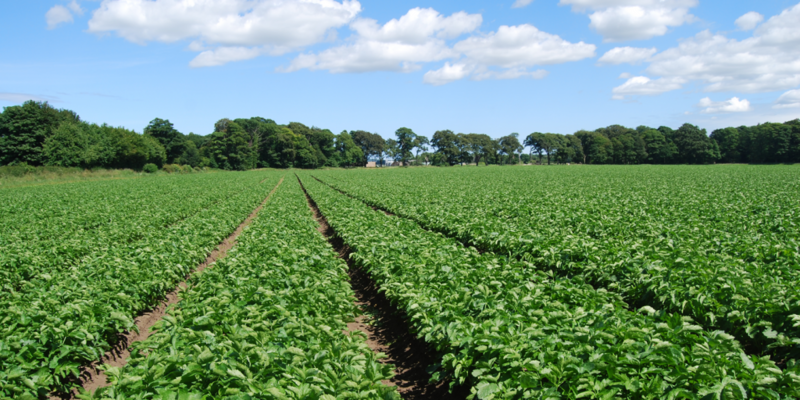 The farm also grows around 40 hectares of parsnips each year for processing and packing company in Fife. We sow this crop at the end of March, and harvest between November and February. We cover part of our parsnip crop with straw to prevent the ground from freezing solid during periods of heavy frost – this means we can harvest this root crop on demand. Once harvested, we load the vegetables into lorries for transport to the site where they are washed, trimmed and polished ready for packing.